This is a lovely dream I had of my daughter-in-law, Emma. When I awoke, my heart was smiling as I saw how God was smiling down from heaven over Emma. It was a dream that was too beautiful to keep to myself. 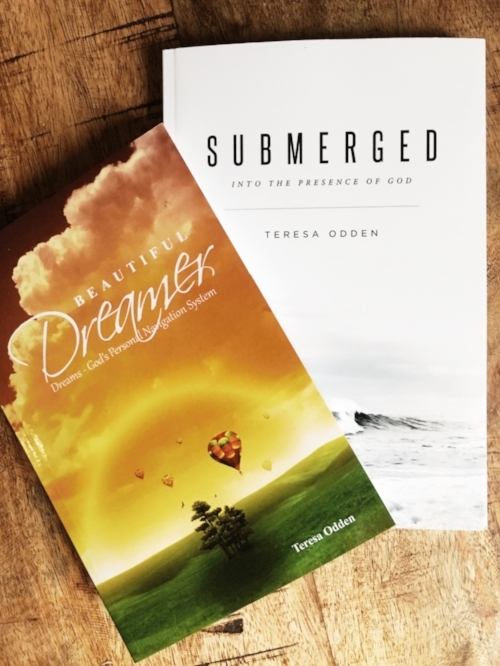 I pray that you are encouraged by her willingness to be open and honest with how this dream reaffirmed what God had already been teaching her. Good morning. I had a dream about you this morning. It's short, but it's a beautiful scene of who you are and that you are loved by God. I was with a group of women and they were commenting on Emma’s long, silky, black hair. They wanted to know what her secret was for healthy, shiny hair. I told the group when she is done washing her hair, she runs salt through it, but she doesn’t rinse it out. I Corinthians 11:15 "And isn’t long hair a woman’s pride and joy? For it has been given to her as a covering." Matthew 5:13-16 "You are the salt of the earth. But if the salt loses its saltiness, how can it be made salty again?" “You are the light of the world—like a city on a hilltop that cannot be hidden." I Thessalonians 2:19 "After all, what gives us hope and joy, and what will be our proud reward and crown as we stand before our Lord Jesus when he returns? It is you! Yes, you are our pride and joy." Good morning, You have no idea how much this encouraged me. For the past year, I've been trying to work on feeling loved and valued for WHO I am, not what I do. It's easy for me to get busy doing ministry and BEING helpful. I never thought that I could be valued or loved by God by just BEING who I am, without serving or helping in some way. The same was true in my relationships. I felt like I should always be bringing coffees or serving people all the time. I didn't trust that they would just enjoy me or value me if I was just their friend. Does that make sense? So when you said, 'You add value to those around you,' that is something that I really needed to hear. THANK YOU! I think it’s imperative that we don’t underestimate the incredible power a simple word of encouragement can be to someone. The encouragement I have received from friends has made a difference on how I see my worth in Christ. The reassurance from loved ones increases my faith and confidence to keep doing the work God has called me to. Don’t hold back. Speak gently and lovingly and when you do, I suggest you provide scripture to reveal God’s faithful promises. When we carry the flavors of heaven, people see something different. It doesn’t take long for them to discover it’s not in something, but in someone, Jesus Christ. Emma's smile and zest for life is contagious. Be a contagious Christian. God told the Israelites to prepare the altar of incense by gathering pure and fragrant spices, including salt to produce a pure and holy incense. Exodus 30:35 “The incense was to be left burning continually throughout the day and night as a pleasing aroma to the Lord” (The Tabernacle Place: Altar of Incense). Salt preserves food, enhances flavor, and adds value. Are you a pleasing fragrance of God? The aroma of Christ should be noticeable by those we come in contact with. People recognize if our beauty comes from being clothed in righteousness or if we carry the stench of a superficial knowledge and life in God. Do you exhibit the glow of heaven? Jesus told us in Matthew 5 that when we are the salt of the earth it’s for the purpose “so that everyone will praise our heavenly Father.” We will shine for Jesus when we are rooted in righteousness. When we are honest with ourselves and allow God to search our hearts, he pours over us like a gentle breeze; refreshing and renewing our hearts, mind, body, and soul.